September $80,000 to match for the Polish Home! If you haven't seen it - go for it! It's the biggest and the best Polish Festival in the western United States. This year the Festival features two exhibitions, a jazz band, a piano concerto, plus the usual two full days of performances by the best Polish folk groups from the west coast US and Canada as well as a Swiss group, variety of merchandize and tons of pierogi, other Polish food as well as Polish beer. There are also polka contests on both days and dancing on the Saturday evening. The book for the meeting is Boy-Zelenski, blazen - wielki maz by Jozef Hen, published by WAB in 2008. Jozef Hen, 87, is a Polish novelist, essayist and biographer. Tadeusz (Boy) Zelenski (1874-1941) was a famous cabaret writer, theater critic as well as publisher and translator whose translations of great French literature into Polish are still unsurpassed in the mastery of the art. The Fr. Jan Twardowski Polish School in Bellevue invites children from the Eastside and Seattle areas. The School is separate from the Polish School in Seattle. Subjects include Polish language, geography, history and culture classes offered to children from grades 1 to 8, based on proficiency in Polish. The School also has a program of Polish as a second language for children. All classes are on Wednesdays at 6:00 pm at the East Shore Unitarian Church. Where: due to construction at the St. Louise Parish, classes are at the East Shore Unitarian Church Education Building. The Juliusz Slowacki Polish School in Seattle offers classes to individuals of all ages and varying degrees of language skills. Children from grades 1-8 learn Polish language and literature, as well history and geography of Poland (assignment is based on the proficiency level in Polish). Adults can learn Polish as a second language as beginners or at intermediate level. All classes at the Polish Home in Seattle, on Mondays or on Saturdays. The first day of school is September 12 for the Saturday classes and September 14 for the Monday classes. The Polish Home in Seattle opens for business as usual, including the restaurant & the bar, on September 11, 2009. Fr. Jan Twardowski Polish School in Bellevue invites to an open house all who want to meet the teachers or enroll their children. The School is separate from the Polish School in Seattle. Subjects include Polish language, geography, history and culture classes offered to children from grades 1 to 8, based on proficiency in Polish. The School also has a program of Polish as a second language for children. All classes are on Wednesdays at 6:00 pm. The first day of school is September 16, 2009. A video installation by two Polish visual artists, Zofia Kulik & Przemyslaw Kwiek, a duo known as KwieKulik, is part of the Target Practice: Painting Under Attack 1949-1978 exhibition at the Seattle Art Museum. The exhibition is about unconventional art forms by artists such as Jasper Johns, Roy Lichtenstein and Andy Warhol, the KwieKulik installation is called Variants of Red and Edward Gierek. September: $80,000 to match for the Polish Home - almost there! 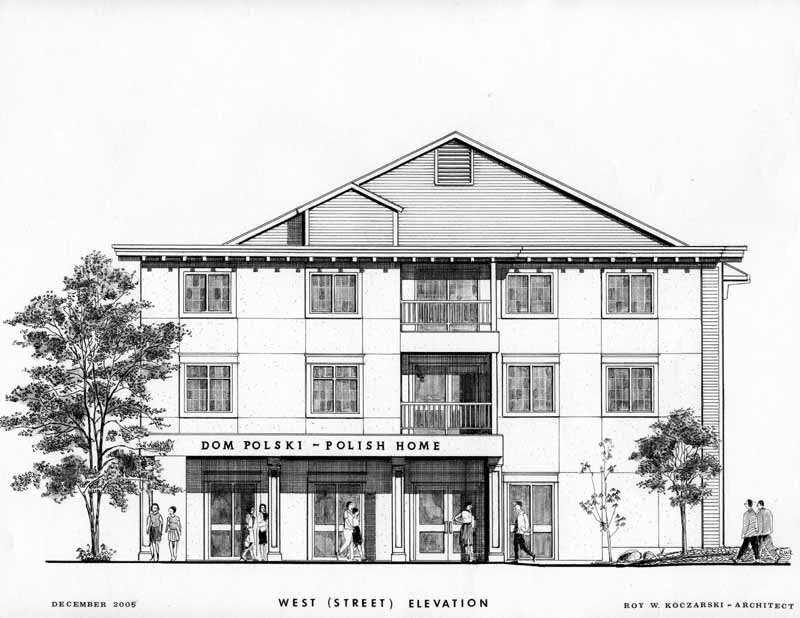 The Polish Home in Seattle has received an $80,000 grant from the City. However, it is a matching grant and the Polish Home needs to receive new donations before the grant can match them. $40,000 in cash donations is needed to sign a grant contract with the City. By September 24, 2009, over $35,000 has been raised – thank you donors! Almost there! Read more here. The Polish Home asks all the members and friends of the Polish Home to donate money to the Polish Home Foundation to benefit from this very advantageous grant. If you have not donated to the Polish Home yet, or would like to increase your donation, please do so now! Your money would be doubled and the grant will speed up completion of the Extension project. Please donate today!